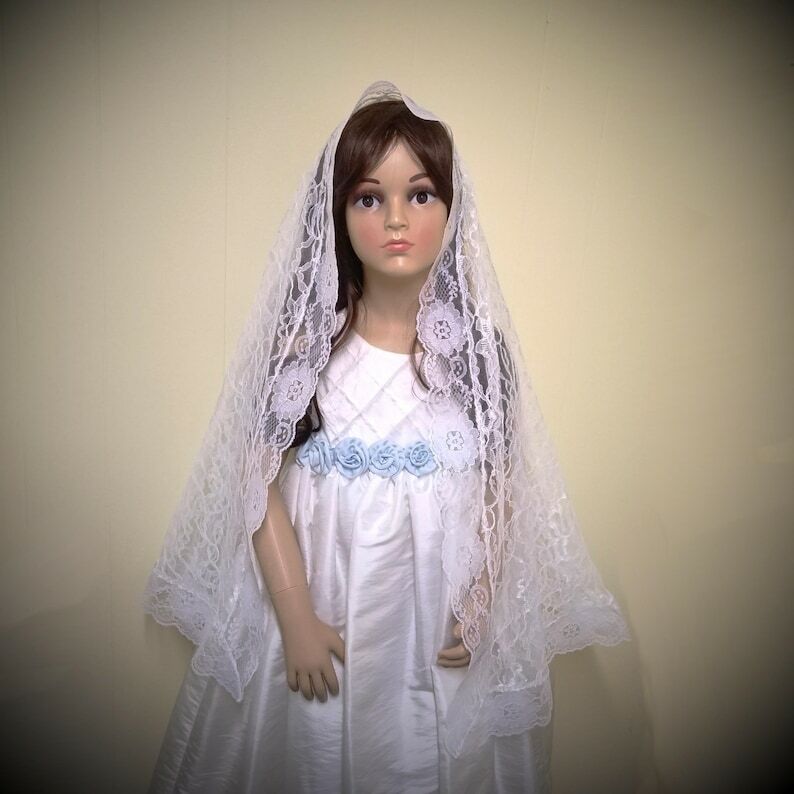 A traditional white lace First Communion veil that will make your daughter feel as holy as the occasion. Also appropriate for a flower girl or Quinceanera Celebrations. The traditional full sized D shape or half circle that so many women prefer measures 62" wide by 31" deep. 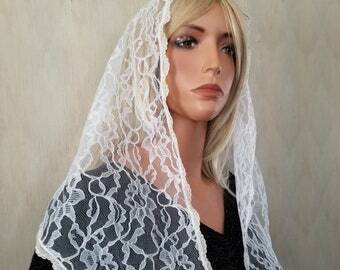 The lace is so soft that it drapes perfectly. 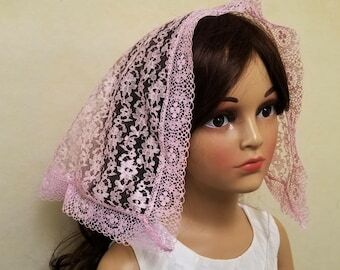 This is the kind of chapel veil you'll want to save for your daughters and their daughters.